Tags: Climate Schools, social influence approach, harm minimisation, "party drugs"
Interactive drug prevention program on improving coping skills, decision-making and motivation. 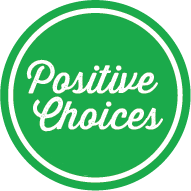 Aussie Optimism is a school-based health promotion program with a positive psychology approach. Curriculum-based program featuring engaging cartoons to prevent harm from cannabis, MDMA/ecstasy & methamphetamine "Ice"
Fun, arcade-style game to educate students about drug effects and potential harms. Solve drug-related mysteries using science.